After our trip in Bulgaria, in November 2010, we had scheduled our next meeting which was going to be in Turkey. The meeting was held from 21st until 28th of July in Kastamonu, Turkey, and the Greek EPM team participated with 4 teachers and 9 students. Months ago, our team started preparing many projects to be shown there, which were related with our school and our city, Thessaloniki. We left Thessaloniki in the 20th of July at 9pm and we arrived in Kastamonu the following night. Therefore the journey was too long and tiring. After our arrival in the “Pretty Dorm House”, a University dorm, we were allocated in our rooms and we had a short dinner. During our 5-day stay in Kastamonu, we had experienced so many things that a whole book isn’t enough to include them! The presentations and our gatherings were held in Ihsangazi, a town only some kilometers away from Kastamonu. Our first day started with a friendly welcome and a short breakfast at the dormitory. After this, a bus arrived which took us to Ihsangazi’s school, where in the beginning the governor of Ihsangazi (Kaymakam) gave a welcome speech to the participants. There, we presented our projects and we had plenty of time to know students from Turkey, Romania and Italy. Before our presentations we were quite anxious, but both the encouragement of our teachers and the friendly environment helped us overcome it and realize that it was not as difficult as it seemed in the beginning. Every day we attended the presentations, after, we visited some traditional monuments such us local mosques and finally at nights, we went around the beautiful city of Kastamonu. 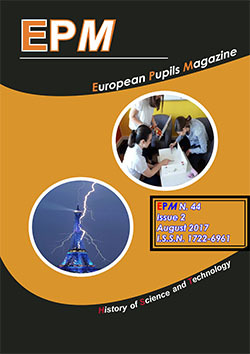 During the last days we discussed about the future of the EPM magazine, our next meeting, financial problems and we finally shared some duties to each EPM member, such us the publication of the next issue. From my point of view the most interesting and amusing day was the 3rd one when we took a 3-hours drive to the Black sea. We also had the beautiful experience of swimming in the Black Sea, with some teachers. In the end, we also visited a cliff, where we took the traditional group photo.